Set within the hotel The Orion Premier in Panaji, Goa, Ambrosia is a multi-cuisine restaurant that specializes in serving up local Goan cuisines. 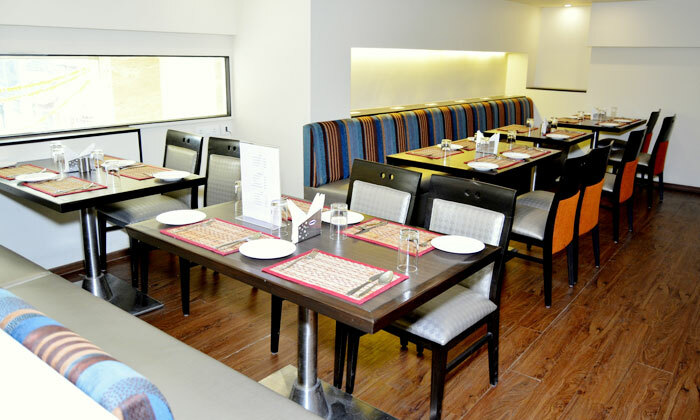 They feature an extensive menu that also features dishes of North & South Indian and Continental cuisines. Guests can also complement their meal from the well-stocked bar to help them unwind. The restaurant features simple modern decor and a relaxed ambiance making it just the spot to kick back and unwind after a long day.